The Moment You Walk in the Front Door You Will Fall in LOVE!! Warm, Welcoming, Quite & Tranquil Explain it Best!! Traditional 2 story Townhome Featuring Skylights in Family Room/20ft Ceilings, Light & Bright!! Gas Fireplace, New Hardwood Floors in Family Room & Dinning Room, Kitchen Offers Granite Counters, White Cabinets, Stainless Steel Appliances, Island & Plenty of Cabinetry, Peaceful Breakfast Eating off Kitchen, Main Level Laundry Room W/D Included -Lots of Cabinets & Utility Sink, 2nd Level Offers a Large Loft, Two Spacious Bedrooms-w/Ceiling Fans. Master bedroom features Vaulted ceilings w/Walk in Closet, Deluxe Master Bath w/Dual Vanities, Soaker Tub & Walk in shower. The finished English Basement Updated & Ready for Entertaining, Bsmnt Features Two Bonus Rooms, & 1/2 bath, Huge Storage that could be turned into a 3rd bedroom. Newer A/C, HWH, Roof and Skylights. 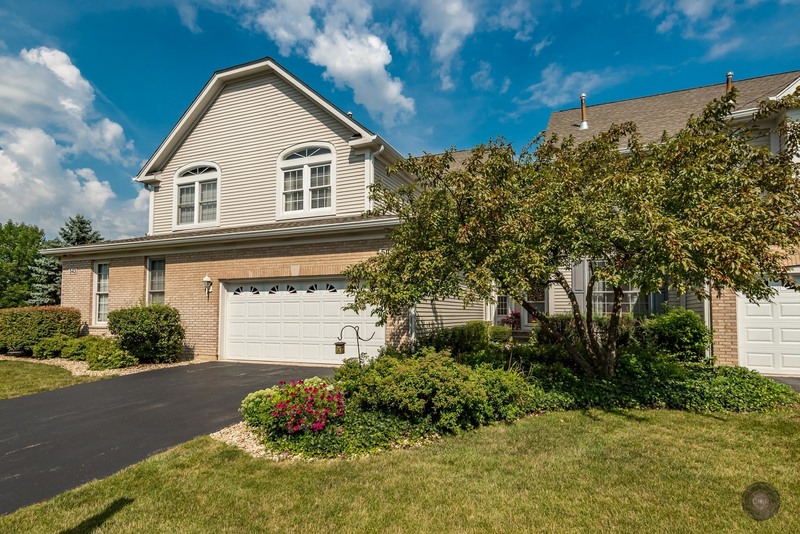 Located in the Popular Baileywood Subdivision, Minutes to downtown Naperville, train & shopping. Welcome home!